We see more apps come across our inboxes than we know what to do with. Most are variations of puzzle games for whatever reason, but every once in a while we see one that introduces an idea that we can get behind. Enter Clik. 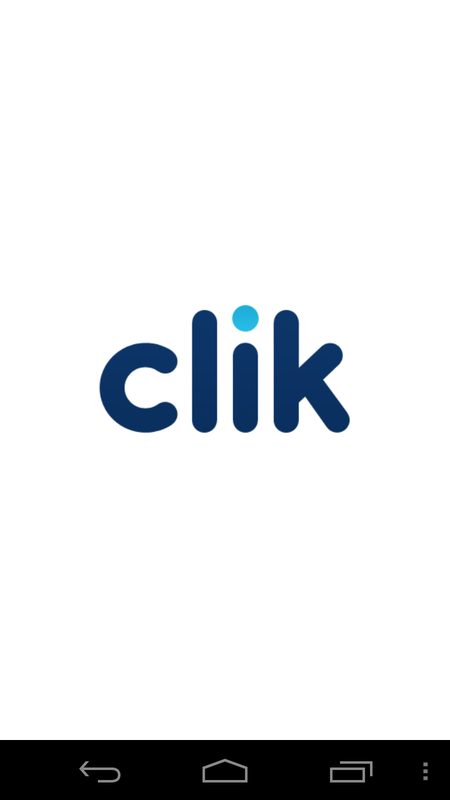 From the makers of Kik Messenger, Clik allows you to turn any screen with a browser (computer, Smart TV, Google TV, etc.) into your own personal video service. What I mean is that by using this app and their website Clikthis.com, you can search through Youtube to find your favorite videos on your phone and then have them played on the big screen in front of you. The picture up top is the best example I can give. I found the latest “Lin-sanity” video through the Clik app, tapped on it and it then played through my computer in real time. You can pause, adjust volume, and even fast forward. Pretty cool concept. The overall idea for Clik is probably the most important part though. 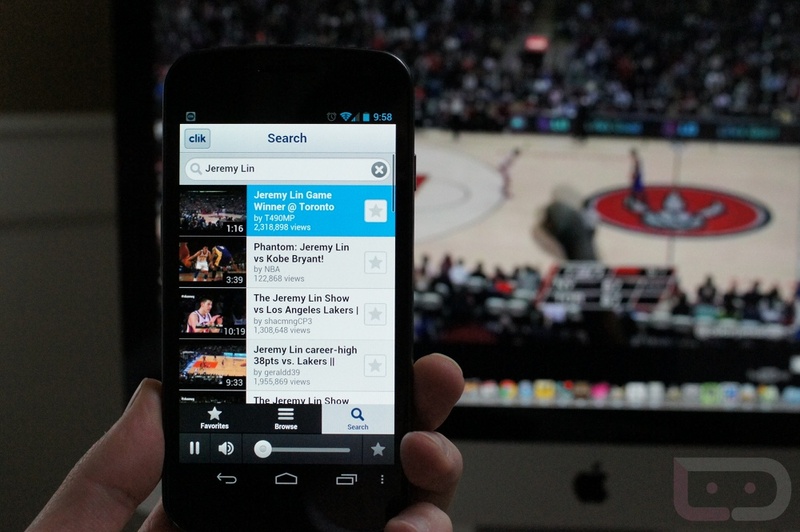 This app is left pretty basic because the concept of sharing anything you have on your smartphone instantly with a TV is what the Clik teams wants to highlight. They want developers to push this forward into gaming, pictures, movies, TV shows, etc.